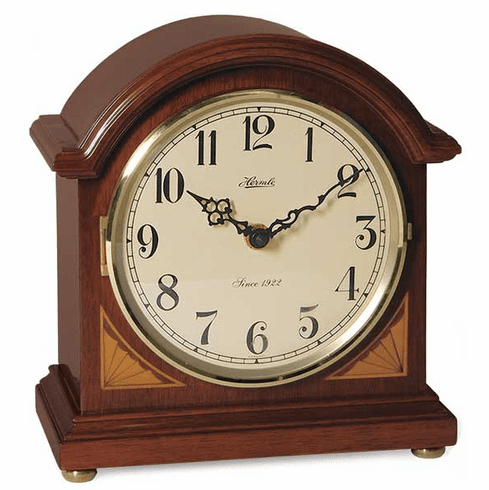 This barrister style mantel clock has an elegant cherry finish with corner fan inlays. Harmonic Movement plays choice of Westminster hourly or quarter hour chimes with a full hour count, or you may set it for Ave Maria or Bim-Bam strike on the hour. Features adjustable volume control and automatic night shut off switch. Requires 2 "C" batteries (not included). Dimensions: H: 8-1/2", W: 8", D: 4-1/4"